Whoa there, Donk! Today is your interview where we talk about why you threw me off and the special role you played in my childhood. Click on The Page Unbound image and scroll down a bit for the Character Interview. Donk insisted that I add her photo – she’s such a ham. God bless you, Jack. Today’s Blog stop includes an interview with me where I talk, among other things, about my siblings, the angel I’ll write about next, and the most common question I answer at appearances. Click on the My Book Fix image and scroll down a bit for the interview in the blog. God bless you, Jack. This morning, I woke up to the kind words shared in CGB’s review of Bending Angels. The Lord works in mysterious ways to put the right tool in the hands of His children at the right time. Thank you, CGB. Click on the CGB Blog Tours image and scroll down a bit for the review in the blog. God bless you, Jack. Always Dreaming wins the Kentucky Derby. At the start of sixth grade, my dreams were nightmares. Read about how a seven year old angel on the school bus changed my life in this excerpt from Bending Angels. Click on the StoreyBook Reviews image and scroll down a bit for the excerpt in the blog. God bless you, Jack. Like those Kentucky Derby horses, we’re racing along on our virtual book tour. For Day 2, click on the Hall Ways image and scroll down a bit for the review in her blog. We’re off and running on Day 1 of our virtual tour. Click on the Missus Gonzo image for the report from her blog. 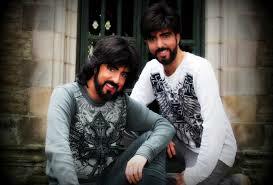 Brian and Shawn Chrisagis interview Jack Emmott on “It’s a God Thing” radio. Enjoy this 27 minute interview where Jack, Shawn and Brian discuss iron lungs, angels, wonderful mothers, and how dark times refine the soul. The time will just fly by. In addition to a focus on Bending Angels: Living Messengers of God’s Love, they discuss why Prayerful Passages: Asking God’s Help in Reconciliation, Separation and Divorce is so important today. 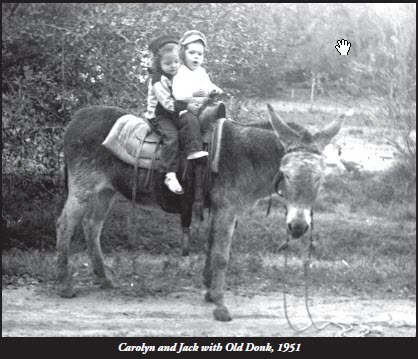 Amanda Chester, former pro bono client of Gray Reed, Dorothy and Jack H. Emmott. 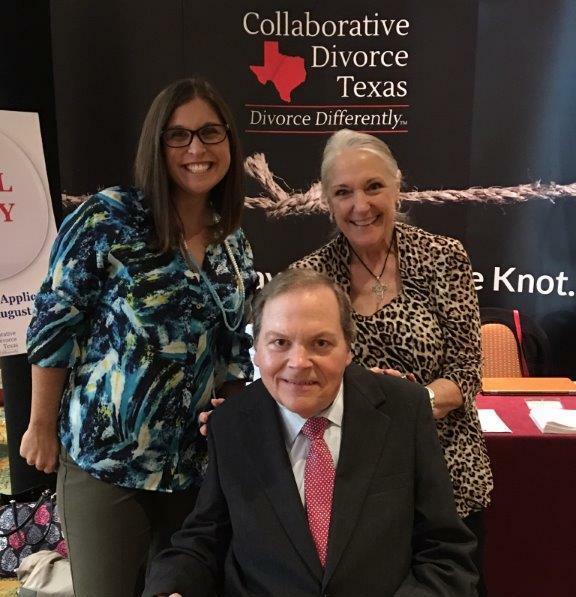 On Tuesday, August 2, 2016, Jack H. Emmott Chaired the 11th Annual Collaborative Law Luncheon at the 45th Advanced Family Law Conference at the Marriott RiverCenter in San Antonio, Texas. This year’s Program featured the award winning Pro Bono Collaborative Law Program created under the leadership of Collaborative Divorce Texas and the Collaborative Law Section of the State Bar of Texas along with Houston Volunteer Lawyers (HVL) . 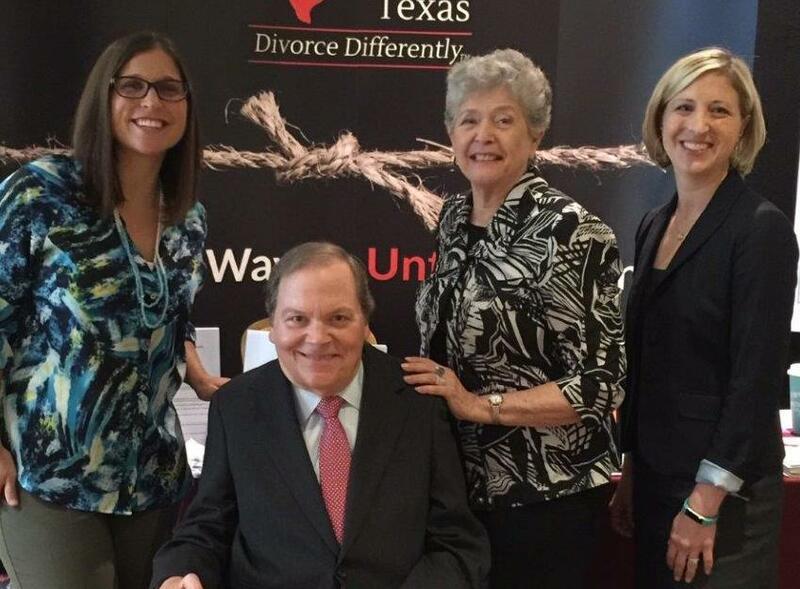 On the Panel pictured here were Amanda Chester, a pro bono consumer, who had been represented by Gray Reed & McGraw, her collaborative attorney, Jack H. Emmott, attorney, Norma Trusch who spearheaded the program for Collaborative Divorce Texas and Alissa Gomez, Executive Director of HVL. At the conclusion of the Program the panel received a standing ovation. 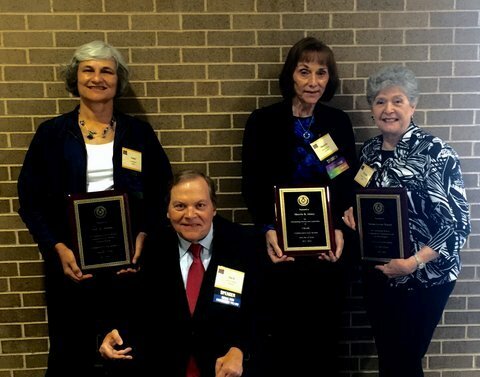 On July 16, 2016 at the State Bar of Texas Annual Leadership Conference the Texas Access to Justice Commission presented its 2016 Pro Bono Service Award to the Collaborative Law Section of the State Bar of Texas and Collaborative Divorce Texas ( formerly the Collaborative Law Institute of Texas). Receiving the award for Collaborative Divorce Texas was Camille Milner, its current President. Receiving the award for the Collaborative Law Section of the State Bar of Texas was Jack H. Emmott III, its former Chair. 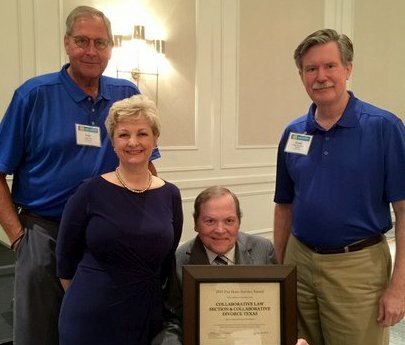 Shown in the photograph alongside Camille Milner and Jack Emmott are Frank Stevenson, the President of the State Bar of Texas and Tom Vick, the President-Elect of the State Bar of Texas. ce Texas and Houston collaborative attorney, Norma Trusch, who was instrumental in developing the forms used and in the training of the attorneys who participated in the project; Alissa Gomez, Executive Director of the Houston Volunteer Lawyers who enthusiastically supported this endeavor; and the Collaborative Law Section under Jack’s leadership. Norma was out of town and was unable to attend. spute resolution process should not be a privilege of the purse. Parents, married couples and their children have serious problems and needs that are not confined to the wealthy, upper social-economic part of our society. One could argue that the poor have an even greater need for such help than do the wealthy. The poor do not have access to the array of highly qualified therapists and mental health care professionals that others do. Well, it was quite a meeting in Fort Worth…the Annual Convention of the State Bar of Texas. Along with seeing lots of wonderful colleagues, I was elected to serve as a Council Member, as was Anne Shutte. It will be an honor. At the Section Meeting I spoke on the Pro Bono Collaborative Law Services Project along with Norma Trusch, who is also spearheading the Project. Also on the Panel were Sherrie Abney, outgoing Chair of the Section, and Anne Shuttee, a former Chair of the Section and Head of its Speakers Bureau. In the photo, that’s Anne Shuttee-me-Sherrie Abney-Norma Trusch. Thank you, ladies and God bless.